Equipment - Let us assist you with basic packaging equipment. 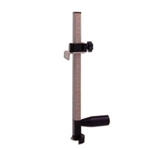 Our product line currently includes: hand trucks, industrial racking, latex gloves, and dispensers. TEQ 5901 - Equipment - ATP EX 203 Handheld Dispenser - 2"
TEQ 5906 - Equipment - SL239 Workhorse Handheld Dispenser - 2"
TEQ 5911 - Equipment - SL339 Workhorse Handheld Dispenser - 3"